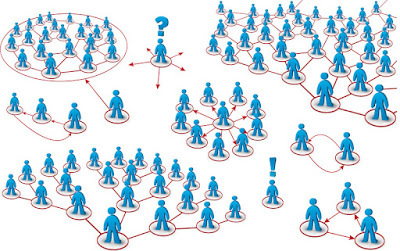 We will help you to get contact information for your Multi level Marketing (MLM). Get contacts for your MLM! Looking for people in your MLM? Starting the business in network marketing? Are you interested in opportunities in MLM? Sign up and get contacts for people who are interested in MLM systems! How does the server MLM people.eu works? To avoid the situation that you will get daily hundreds of offers for MLM from all registered users, we have established a credit system. 1 credit = 1 contact. When you register and pay the registration fee 5 USD, you get 20 credits into your account. By there you get 20 valuable contacts which you can choose. Every user can list which MLM he is already working in , what is he looking for and which MLM is he not interested in . Your money for new contacts are then spent the most efficiently as possible. You can also see how many times the contact has already been shown. Of course filtering by countries is included. You can see all this information beforehand, so you don’t have to waste your credits. You will buy only the contacts that you need. The credits have no expire date, you can use them any time. You can forever see your gained contacts in your menu (or until you have canceled your account). If you want more contacts, there are 3 options. Either you buy a package of credits (see price list) or promote this websites through your reference link. For each user you recommend to this site, you get 20 credits + you can also automatically see the contact information for this person. The third way to obtain more credits is your patience. In your profile you can see, how many times someone bought your contact. You get automatically 1 credit into your account for every 10 purchases (so-called loyalty bonus). I recommend you look at the page FAQ - where you can find more information and answers to your questions – for example: Why is the registration paid or Why was thea system of credits created, etc. Write only in English for better understanding. In your profile, you can specify other languages which you speak. Offer me only online MLM that can be done completely over the internet. I don't want companies that offer physical products. I do not want no insurance, etc.